Foster + Partners has just designed its second apartment tower in North America, and first in the U.S., for Zeckendorf Development. They are the same developer who worked with Robert A.M. Stern on 15 Central Park West, considered the best-selling condo building of all time. Can Lord Norman and his sleek 44-story tower top that? Maybe it's just a bad rendering, but I'm having difficulty understanding how this constitutes "high design." It's not high design, it's just marketing. 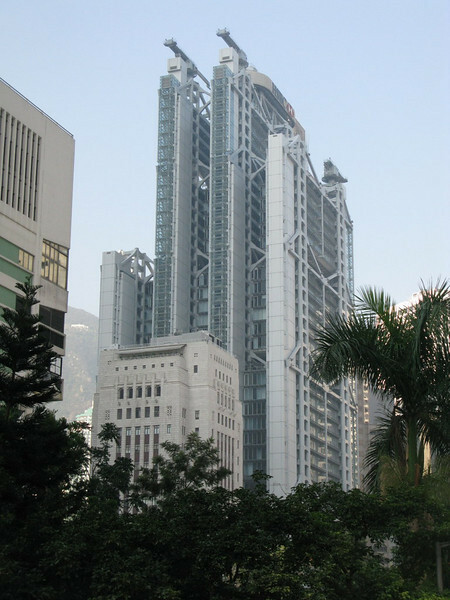 Ah, finally an end to wondering what it would be like to live in the HSBC Hong Kong bank building. Hard to believe these two buildings come from the same hand. I guess times are hard even for Mr. Foster cause that apartment building looks like developer schlock from the 1970's.